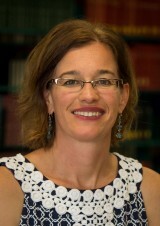 Dr. Patricia Dahm is an assistant professor of management at the Orfalea College of Business. Her research interests revolve around work-life integration, social roles, and self-regulation of workplace behavior. Her research has been published in the Journal of Applied Psychology and the Academy of Management Proceedings, and her work is supported by grants from the Society for Human Resource Management and the University of Minnesota, Carlson School of Management. Professor Dahm received a Ph.D. from the University of Minnesota, Carlson School of Management and an MBA from the University of Illinois. Her undergraduate degree in Mechanical Engineering is from the University of Notre Dame. Before launching her academic career, Professor Dahm worked as an organizational effectiveness consultant at Target Corporation and as a finance manager and analyst for Sprint-Nextel in previous years.